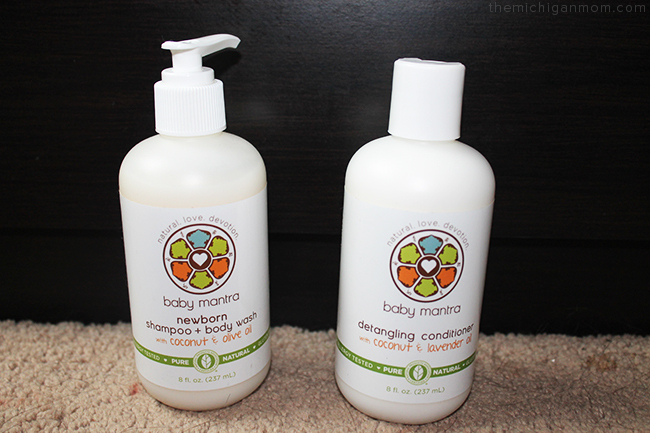 Baby Mantra All-Natural Baby Skincare Products! Zach had really bad eczema as a baby and I was always afraid of trying new skincare products on him because I was afraid he would react badly to them. I tried to steer towards products that were made with natural ingredients as best I could during that time. Sometimes it can be hard to find the right products for your little one especially when they have allergies or sensitive skin. That’s why I was so glad to find out about Baby Mantra. Baby Mantra was created by two sisters on a mission to provide safe and ecologically sound skincare. Baby Mantra is a certified natural, cruelty-free and gluten-free baby skincare line that offers environmentally conscious products from ingredients to packaging. All products are made in the U.S and are inspired by all-natural home-based remedies. The 3-in-1 Bubble Bath, Shampoo, and Body Wash is a great combination for bath time. It is a gentle formula for babies and even for kids and adults with sensitive skin. It’s made with key ingredients like Aloe Vera and Lavender that your little one is bound to enjoy. It doesn’t bubble up like synthetic bubble baths, so it is recommended that you initiate the bubbling process by shaking the bubbles under running water. I love the versatility of this product. The Newborn Shampoo & Body Wash naturally untangles hair as well as conditions and nourishes skin, leaving it soft to the touch. Made with key ingredients like Aqua, Coconut Oil, Olive Oil, and Lavender that work to deeply heal and soothe the skin. After shampooing, use the Detangling Conditioner to make brushing your little one’s hair even easier. The Detangling Conditioner is made with ingredients like alone and witch hazel to ease even the toughest tangles and coconut oil and shea butter help to nourish and strengthen the hair as well. Leave it in the hair for about 2-3 minutes and then rinse out and towel dry hair. The Calming Lotion is a great for right after the shower to intensely moisturize your little one’s skin. It is great for sensitive skin, babies, children, and even adults. The Calming Lotion is made with key ingredients like shea butter, olive oil, sage oil, honeysuckle flower extract, and even lavender. It absorbs quickly and leaves the skin feeling smooth and hydrated. Another great after-shower product is the Calming Massage Oil perfect for getting your little one relaxed before bedtime. IT is a highly moisturizing and non-greasy formula that restores the skin’s natural balance. The Calming Massage Oil has key ingredients like apricot oil, grapeseed oil, jojoba, avocado oil, soy bean oil, and orange peel oil a perfect combination for your little one. I love giving Zach baths and showers with shampoos, washes, and conditioners made with natural ingredients. After his bath, I lotion his skin so that it’s soft and smooth and right before bedtime I will give him a massage using the calming massage oil to help him relax before bed. This routine has really helped make bedtime easier. Overall, I think these products are great for babies and kids, especially those with sensitive skin. I know I had a hard time finding products that Zach wouldn’t react to, so it’s nice to know that Baby Mantra is out there for us. 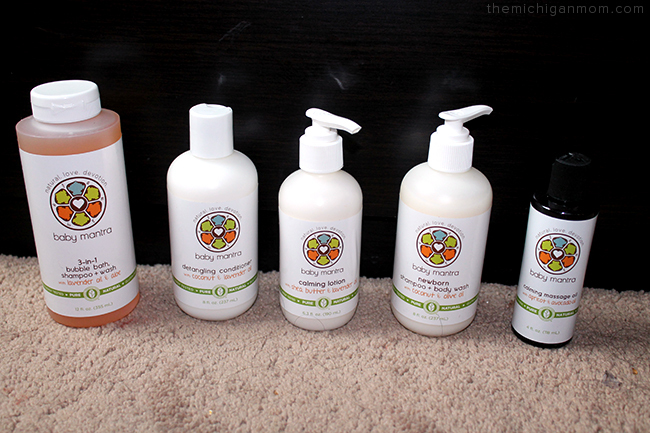 I feel content knowing that these products are allergy tested, toxin-free, dye-free, and made with natural ingredients. Baby Mantra products are available at BabiesRUs.com Baby Mantra products are also available at select select Walgreens & Duane Reade store nationwide and on Amazon!